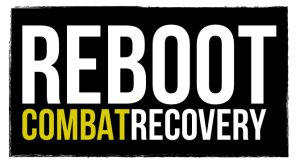 By Ms. Megan Doyle (Chaplain Corps), originally published 24 March 2014 at www.army.mil. 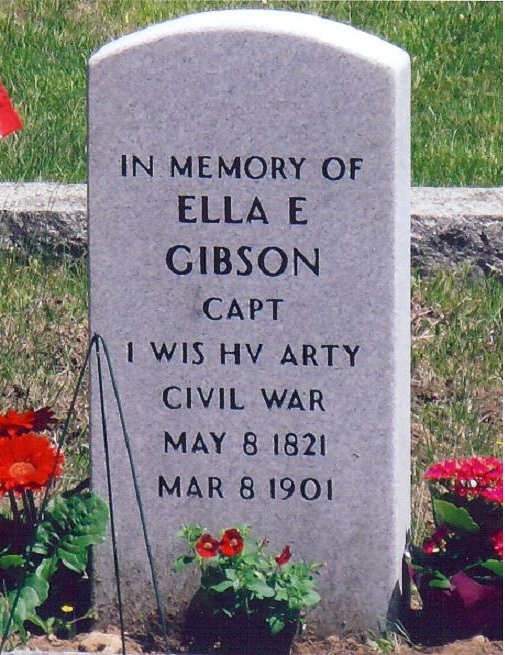 During the Civil War, Ella E. Gibson Hobart served as the chaplain of the 1st Wisconsin Regiment of Heavy Artillery, but Secretary of War Edwin Stanton refused to recognize her status. It would be more than 100 years before the first female chaplain was officially commissioned into the military, when Reverend Dianna Pohlman Bell became a Navy chaplain in 1973. 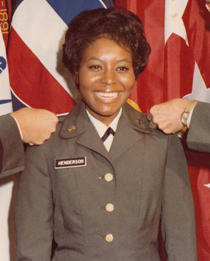 Reverend Alice M. Henderson, a minister in the African Methodist Episcopal (AME) Church, became the first woman to officially serve in the U.S. Army Chaplain Corps in July 1974. 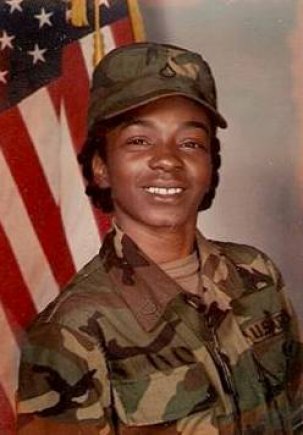 She was sworn in at a ceremony at U.S. Army Forces Command (FORSCOM) at Fort McPherson, GA and served for 13 years. In 2014, 448 female chaplain assistants make up almost a third of the total force within the Military Occupational Specialty (MOS) of 56M. There are also 69 active duty female chaplains, 82 Guard and Reserve female chaplains, and approximately 50 female chaplain candidates. Chaplain and chaplain assistant Unit Ministry Teams (UMTs) provide religious support to units all over the globe — and the roles of women in the Chaplain Corps have expanded to match the changing diversity of the U.S. Army. Female Army chaplains are endorsed by a variety of faith groups including Christian, Jewish, and Hindu traditions. Women of the Chaplain Corps achieved many firsts not only in the Army but across the military — to include the first female Rabbi and first Hindu chaplain in the military. Chaplain (Col.) Bonnie Koppell became the first female rabbi officially endorsed as a military chaplain in 1981. In May 2011, Chaplain (Capt.) Pratima Dharm became the military’s first Hindu chaplain. Chaplain (Lieut. Col.) Julie Rowan is the first female Deputy Personnel Manager at the Office of the Chief of Chaplains, but early on in her career she received some pushback for her role as a minister. During her first overseas assignment in the late 1990s, a male chaplain approached her with materials outlining why he didn’t agree with women serving in the pulpit. Like all women in the Corps, Rowan brings perspectives and skills that allow her to provide religious support in areas where men may be more limited. Rowan’s ministry has included being present during the birth of a child and counseling female prison officers who were victims of sexual harassment and assault. Women chaplains bring a unique perspective to counseling Soldiers — male or female — and may be specifically able to support female Soldiers through relationship and marital topics, women’s health issues, pregnancy, and sexual assault or harassment. Chaplain (Capt.) Mel O’Malley, regularly shares her unique experience as a female in ministry with potential future chaplains in her position with the South Central Chaplain Recruiting Team. 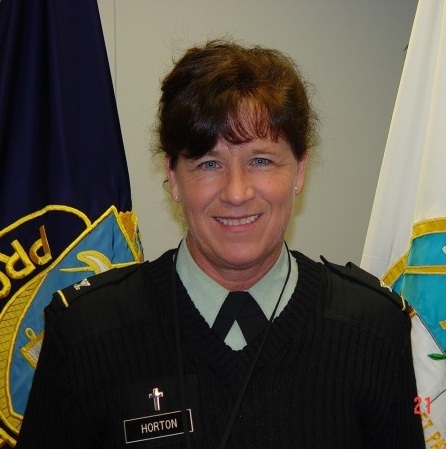 Though women serve in leadership positions at all levels of the Corps today, now-retired Chaplain (Col.) Janet Horton was the first woman promoted to Colonel in the Army Chaplain Corps. She entered the U.S. Army in June 1976 and served for 28 years as chaplain, endorsed by the Church of Christ, Scientist. She became the first female chaplain to serve as a division chaplain (1st Armored Division). Horton and her non-commissioned officer in charge (NCOIC), Iraida Velazquez, were the first Division-level all-female Unit Ministry Team. Among the most recent milestones, women of the Chaplain Corps reflect the expanded roles of women in the Army, to include serving in combat units. In 2012, Chaplain (Capt.) 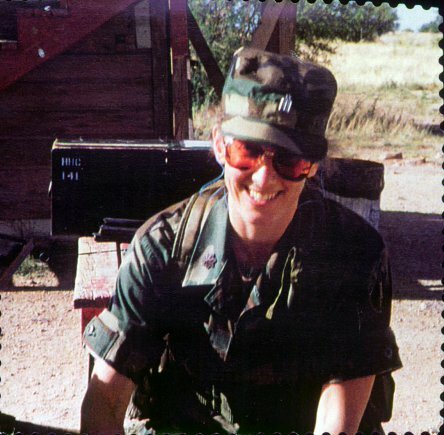 Delana Small, became the first female Chaplain assigned to a combat arms battalion unit – the 101st Airborne Division. Chaplain (Capt.) Vivian Keady Yanquoi-West is another of the first females — assigned the 1st Cavalry Division. Female Chaplain assistants have broken new ground within their MOS and continue to serve as leaders and unique resources in their unit at all levels of the Corps and Army today. Sgt. Maj. Pamela Wilson became the first female to win the Military History Award at the United States Army Sergeants Major Academy in 2002. She was also the first African American female to serve as proponent Sergeant Major and later as the 56M Sergeant Major for Multi-National Forces Iraq. In 2010, she became the 1st 56M to serve as faculty advisor at the U.S. Army SGM Academy. In 2004, Master Sgt. Deitra A. Alam became the first Chaplain assistant to graduate as the Distinguished Honor Graduate of the U.S. Army Drill Sergeant School and first to serve as a drill sergeant leader there. Sgt. Maj. Monica Dixon became the first female chaplain assistant to achieve jumpmaster status in 2008, and in 2011, Sgt. Kelly Velasco became the first female chaplain assistant to join the USASOC Parachute Team (“Black Daggers”). Though they bring diversity to the Corps and the Army, women of the Chaplain Corps all have a relatively similar reason for joining — a calling to serve. For the other half of the Unit Ministry Team, the call to serve others is just as strong. Becoming a 56M wasn’t necessarily always part of their plan for some chaplain assistants, though. The same skills that make great chaplains and chaplain assistants, though, can be a threat to personal resilience. By definition of their role, chaplains and chaplain assistants are built into every unit to help Soldiers manage their burdens. “I think my biggest challenge is finding a sense of balance,” Sgt. Maj. Dianne Ellwein said. “We are nurturers by nature and have an extraordinary passion to care for others. We continually give our very best to others (it makes us feel good! ), and many times neglect ourselves. It’s important to monitor ourselves, otherwise we will be bankrupt emotionally and spiritually and unable to truly take care of others. 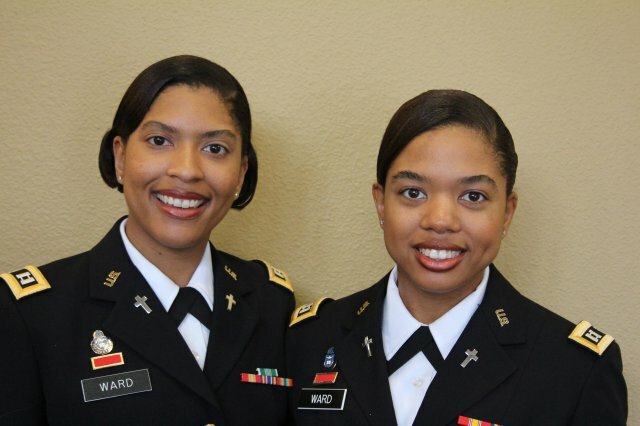 Two women brought new meaning to the concept of “sisters in service” in 2010, when biological sisters Chaplain (Capt.) LeyAnne Ward and Chaplain (Capt.) Alison Ward were commissioned as chaplains. They both graduated from CH-BOLC in August 2009, were commissioned as USAR chaplains in June 2010, transitioned to Active Duty in September 2012, and began serving at Fort Bragg together in January 2013. All chaplains and chaplain assistants must display great flexibility to serve the religious needs of all Soldiers from every background. As women, members of the Chaplain Corps bring unique skills and perspectives that meet the needs of a diverse Army where men and women serve side by side at all levels and types of positions.